A wonderful life-affirming event took place on Saturday at Diversity Matters North West, to honour and remember all those affected by hate in all its forms. 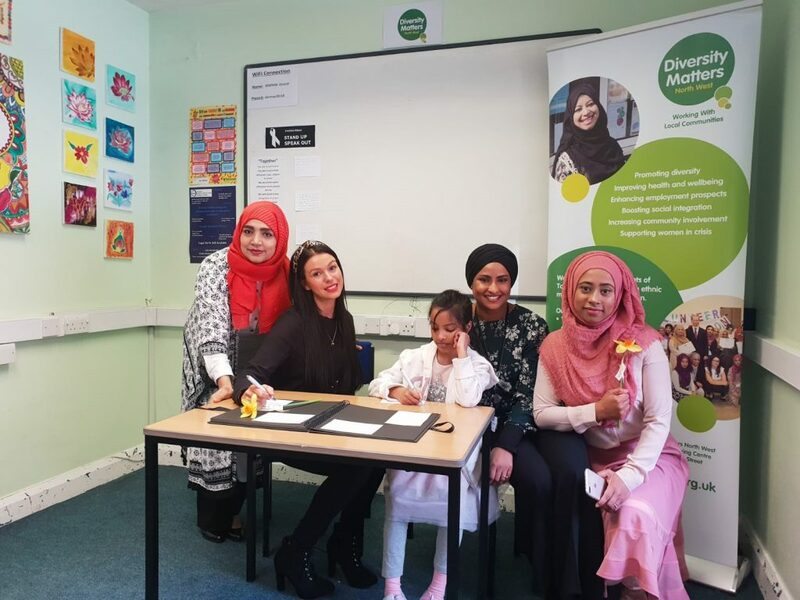 Hosted by the staff team, who had come in on a Saturday to share thoughts and embraces with their local community, the event brought together young and old, MPs and commoners and a mix of nationalities and backgrounds. Jonathan Reynolds MP signs the book of condolences. 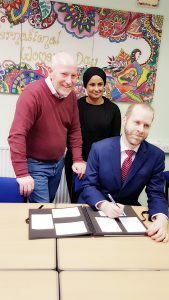 The attendees were invited to share their personal messages in a book of condolences and speeches reflected the unity felt across Tameside in response to terror attacks and violence in recent times. Local supermarket ASDA had kindly donated flowers for the event which were given to everyone attending as a symbol of hope and peace. Amongst the visitors were three MPs and local councillors who signed the book of condolences along with everyone else. The theme of the day was There is More That Unites Us Than Divides Us, and the large group gathered at the event proudly stood side by side in unity against hatred of all forms. 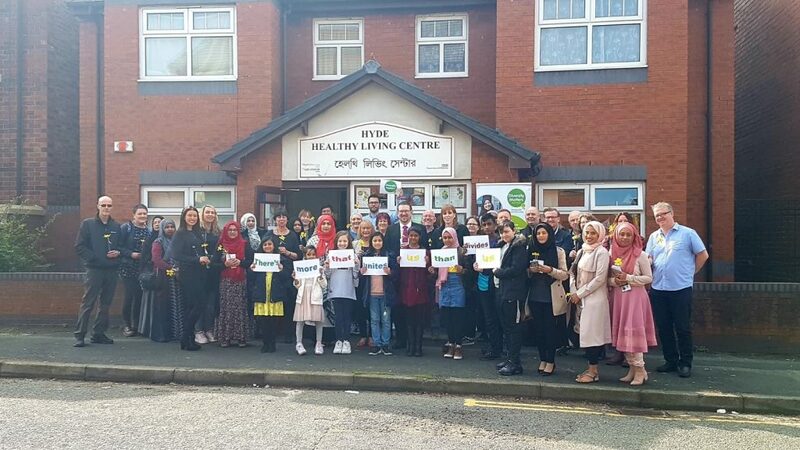 Diversity Matters, previously known as Hyde Community Action, has long been known as a space for unity and community coherence, and continues to be a Safe Space, where someone can feel comfortable about expressing their identity, without fear of discrimination, and report a hate incident or hate crime.